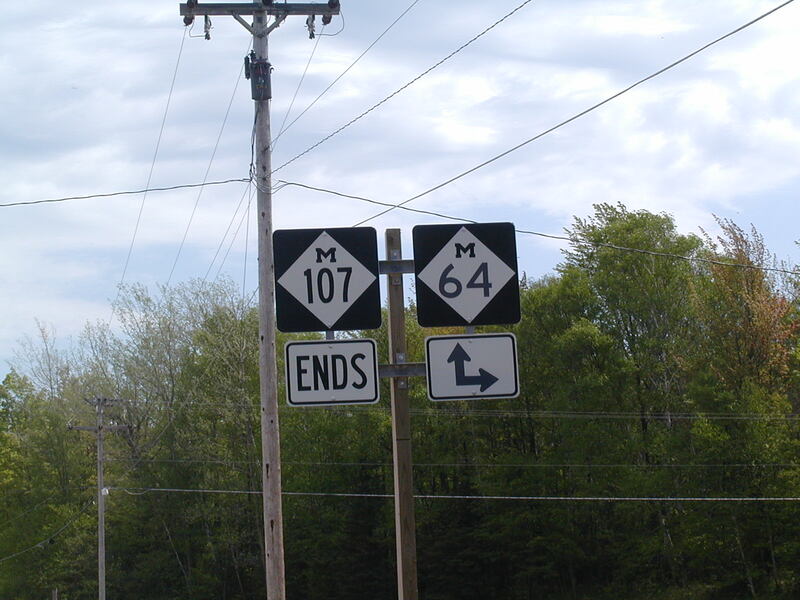 End M 107 in Silver City. 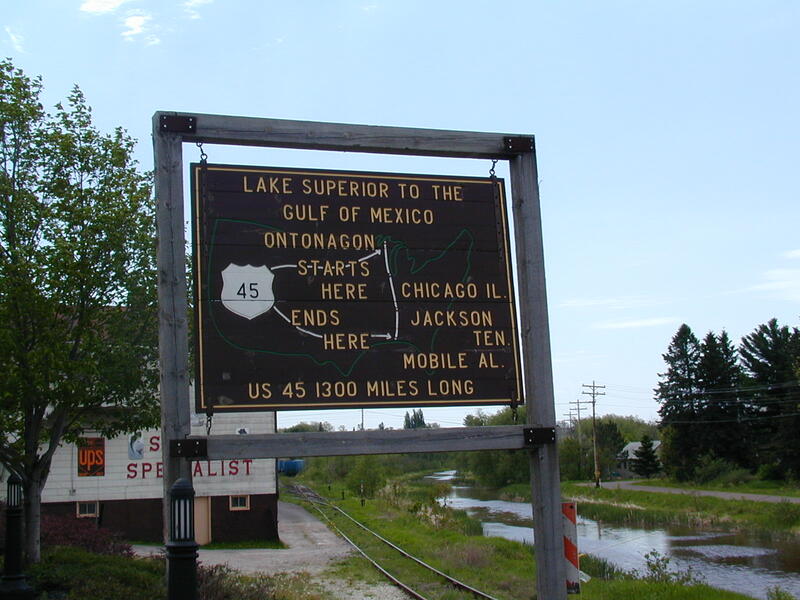 The big, wooden US 45 tribute at the highway's northern end in Ontonogan. 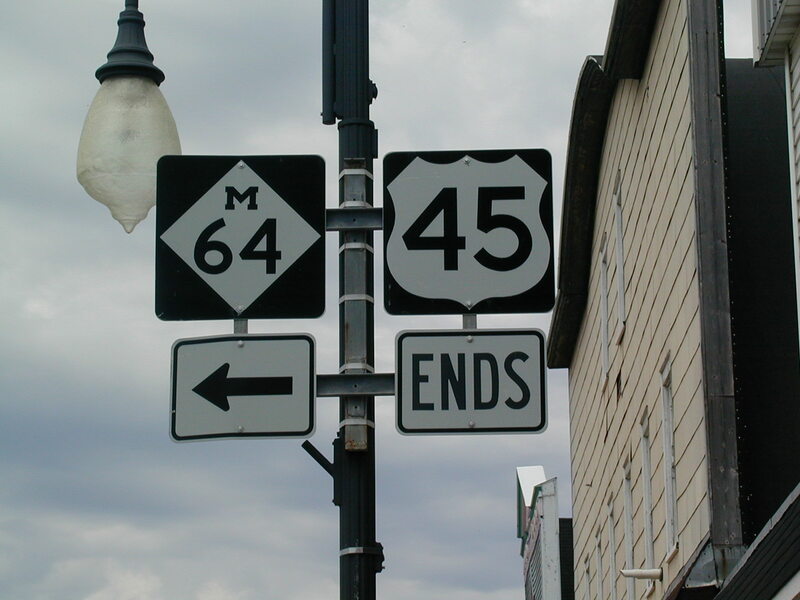 US 45 ends at M 64. M 64 makes its end here. 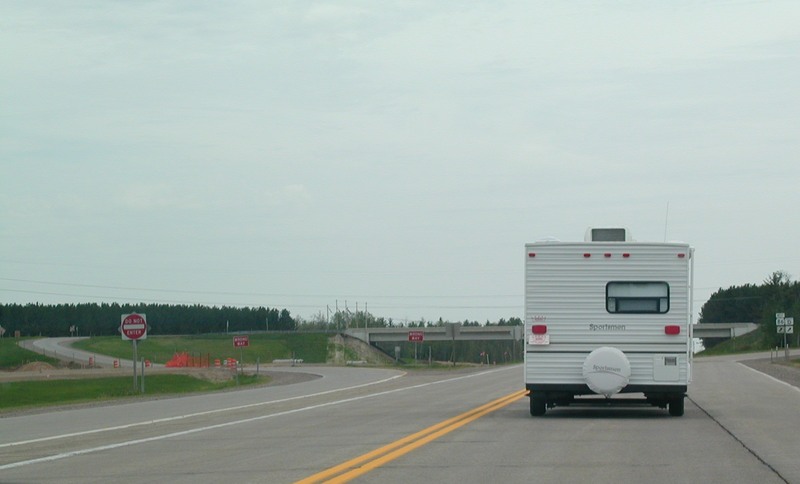 The roads of Rhinelander. 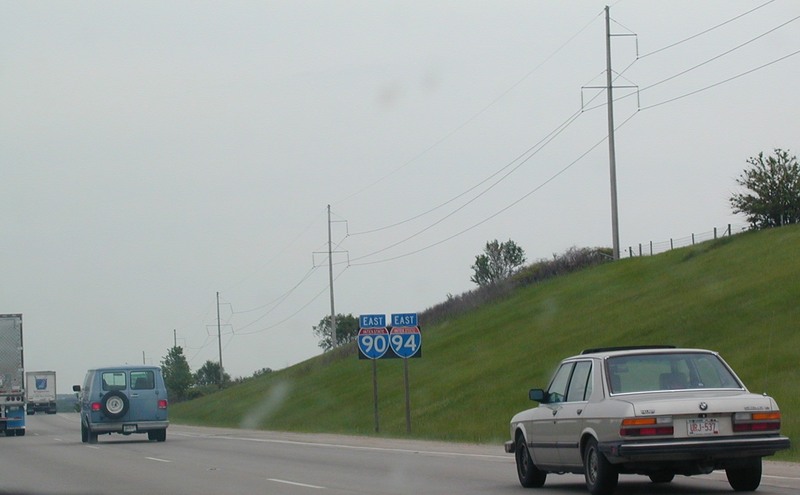 I don't have any pics of US 45 South because dad let me drive his car for the first time ever: my first time driving the 2000 Saab 9-3 Viggen. 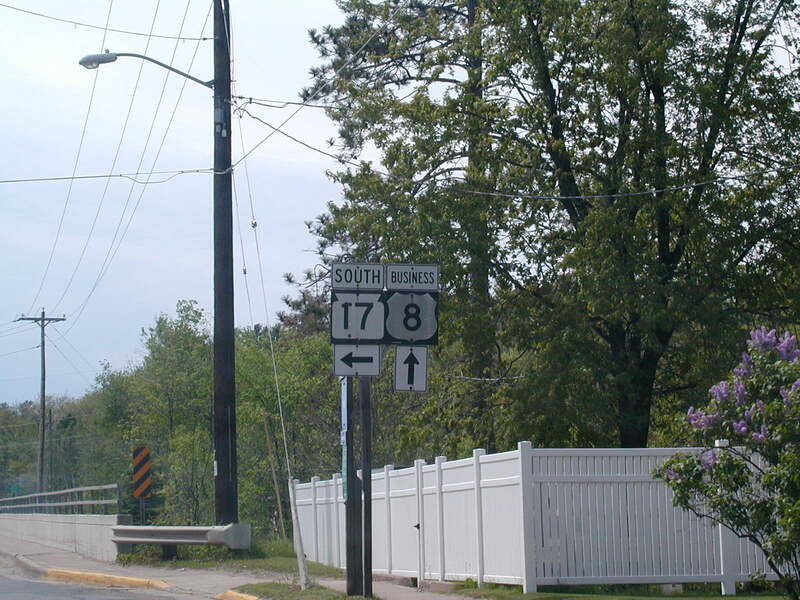 At the time, US 51 immediately south of US 8 was a super-2, but my Rand McNally 2005 atlas shows it as 4-lane. 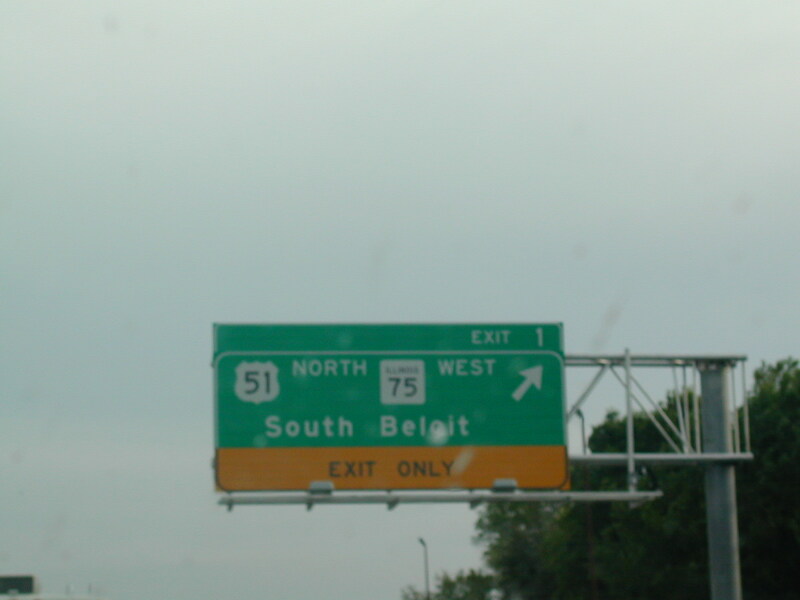 Still on the super-2 part of US 51 SB. 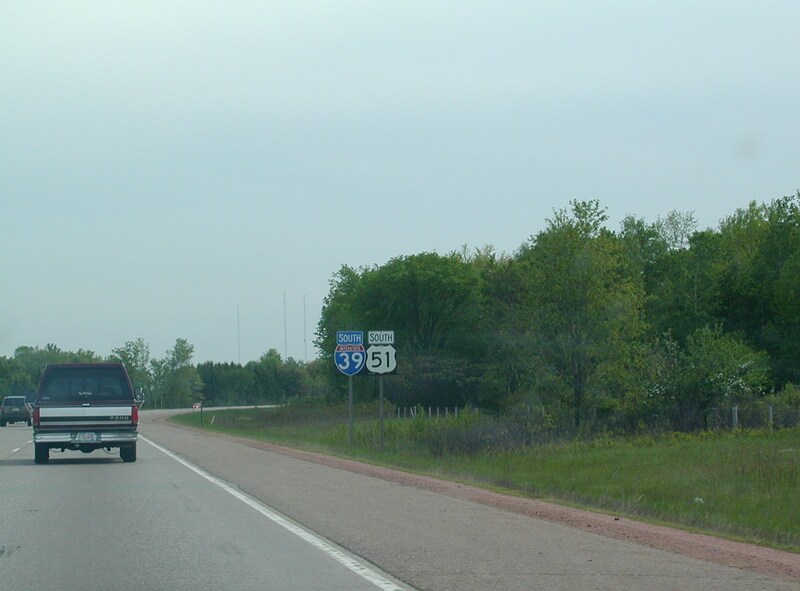 Instead of an I-39 begins shield, there is this JCT sign on US 51 SB. 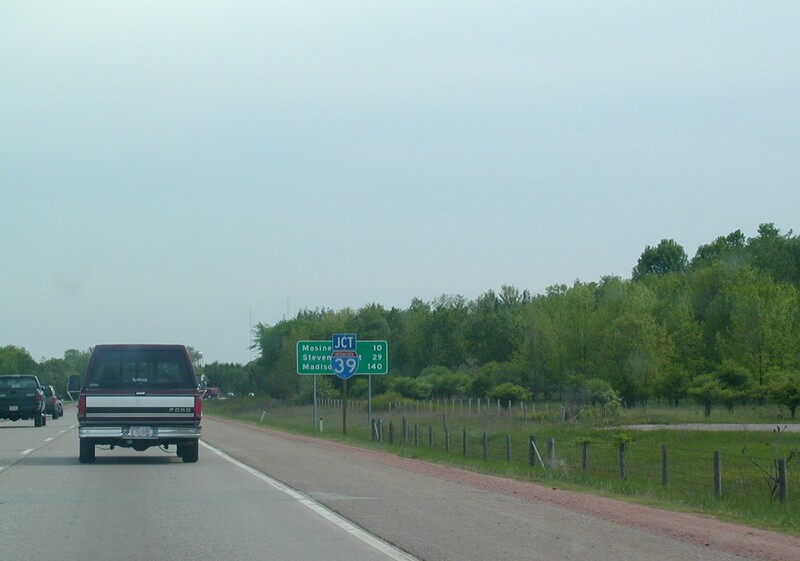 It really isn't a junction, as the roadway just becomes I-39. 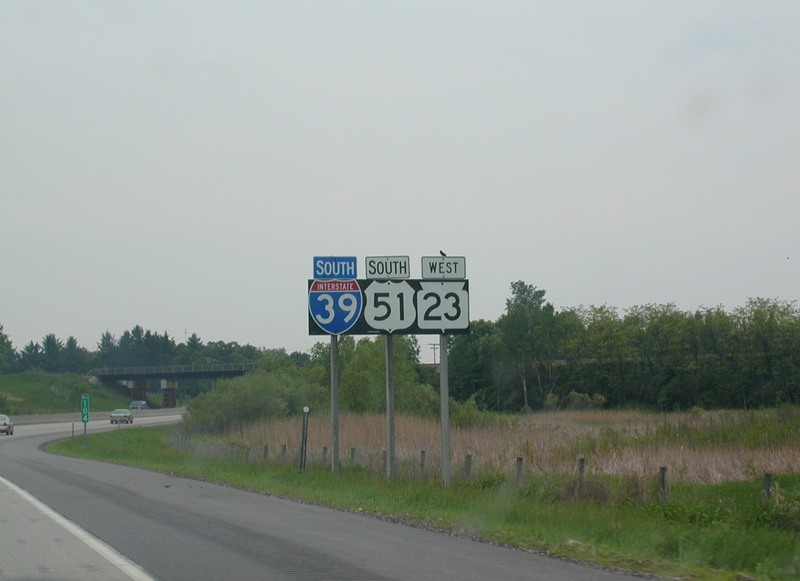 The first southbound I-39 shield. Only a county road shield could make this assembly complete! 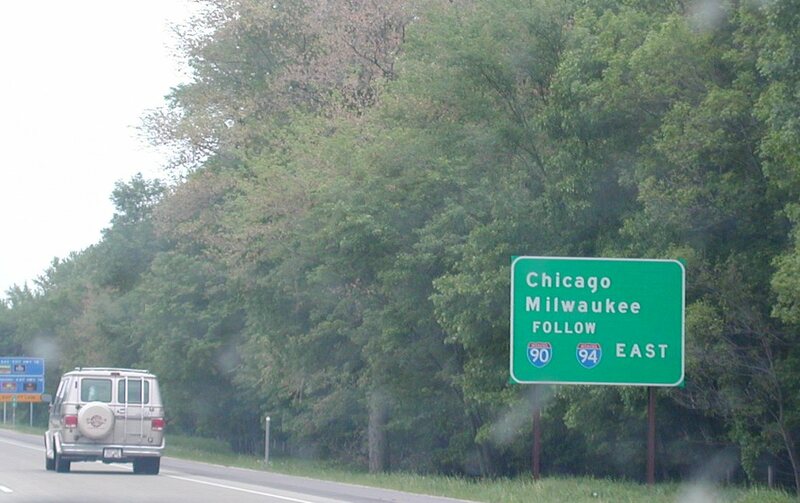 Follow I-90/94 to Chicago and Milwaukee. 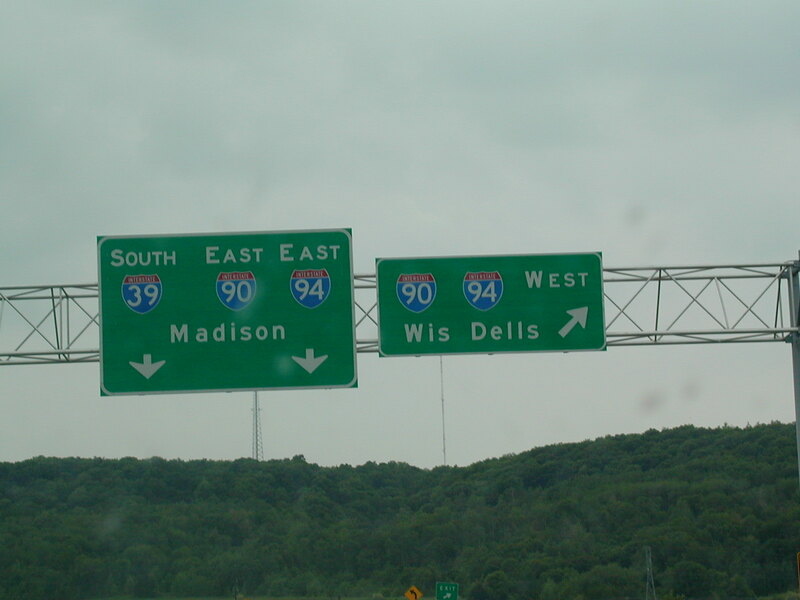 I-39 and I-90/94 are about to begin their journey through the heart of Wisconsin. 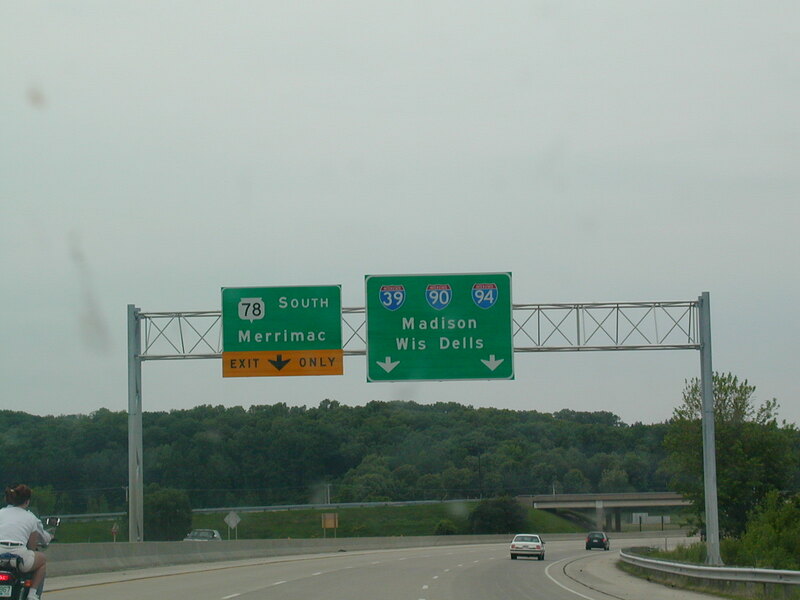 The split of the ramps to I-39 and/or I-90/94. 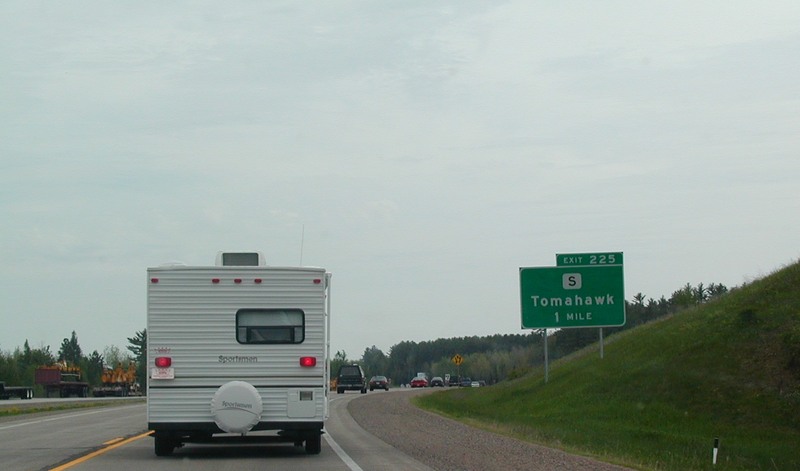 I guess someone forgot I-39 here. 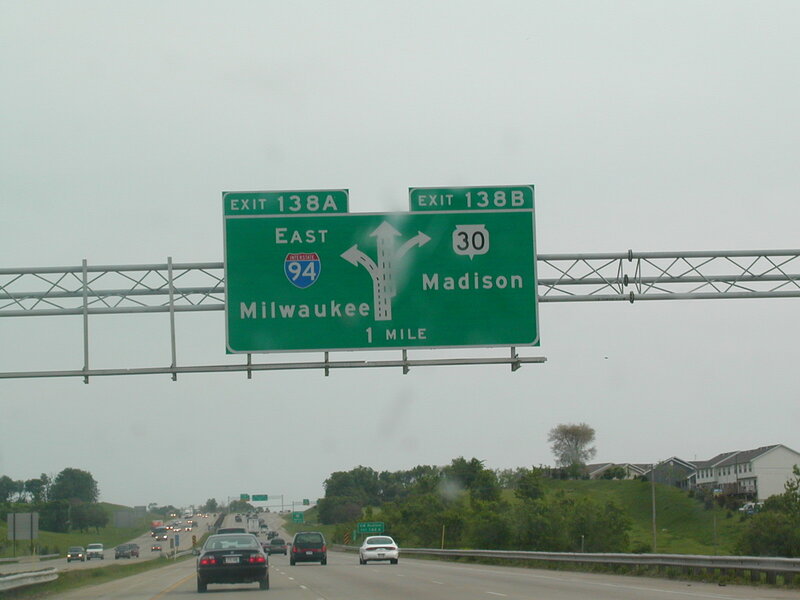 Back in Madison, I-94 is about to depart. 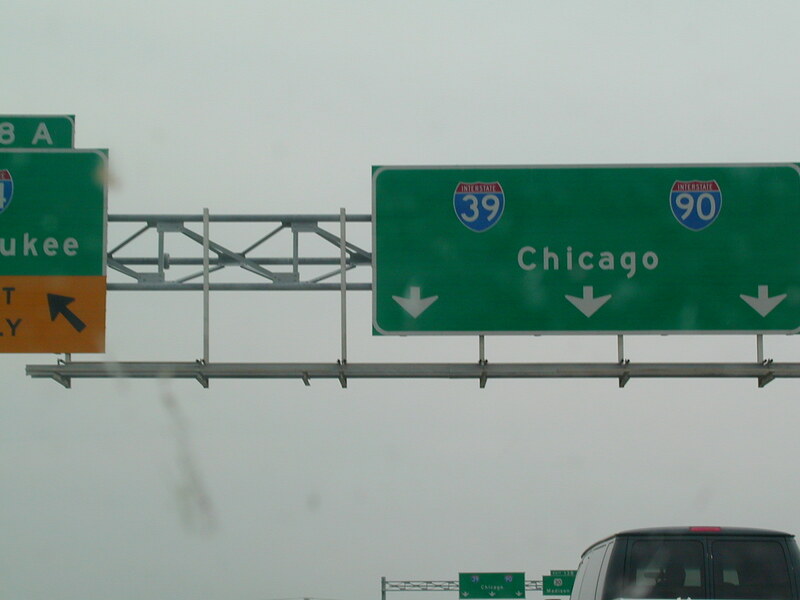 To me, it's kind of interesting to have the control city for I-39 be Chicago. But I understand why. Hey! We've made it back to Illinois!